Also on display is a STS 35 Mc11 extruder featuring a specific torque of 11.3 Nm/cm3, screw speeds of up to 900 rpm and proven Coperion extruder quality. The STS Mc11 series offers an extremely appealing price/performance ratio. With masterbatch processing in mind, Coperion has equipped the STS Mc11 twin screw extruder with new features that significantly improve the system’s handling and ease of cleaning. The STS Mc11 has now a new base frame design which allows for integration of water manifold and wiring connections for better cleanability without sacrificing accessibility. Operations around the machine are now simpler since Coperion has reengineered the extruder insulation covers to enable easy access to the process section and at the same time reduce dust contamination or collection. Smooth surfaces make for easier cleaning as well. The barrel heater shells are equipped with insulation plates to effectively reduce the temperature on the surface of the process section. The feed barrel opening is fitted with a removable sleeve which facilitates simple cleaning and therefore quicker product change over and the vent port is now equipped with a tray to catch vent drippings or vent flow. Coperion has also redesigned the die head to meet special masterbatch processing requirements. It can be quickly opened by simply loosening a few bolts and ensures fast color changes. 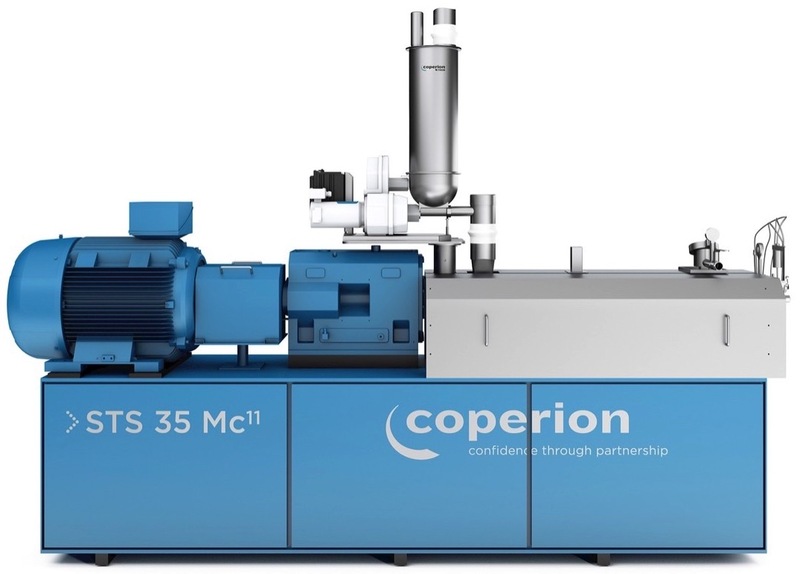 The STS 35 Mc11 presented at Chinaplas is outfitted with a volumetric Coperion K-Tron T35 twin screw feeder – an economic and reliable solution for feeding powders into the process. Coperion will be exhibiting its strand pelletizer “SP treasure”, which is exclusively tailored to the Chinese market. It has an excellent quality standard and an attractive price/performance ratio. It was developed through close cooperation between Coperion Pelletizing Technology, Offenbach, Germany and Coperion Nanjing, China. Coperion Pelletizing Technology is responsible for the design and produces the cutting chamber, with the rest of the assembly manufactured locally in Nanjing. The “SP 220 treasure” strand pelletizer is ideally suited for processing of highly abrasive strengthened products. It has a working width of 220 mm, can process up to 55 strands at throughput rates of up to 2,500 kg/h. 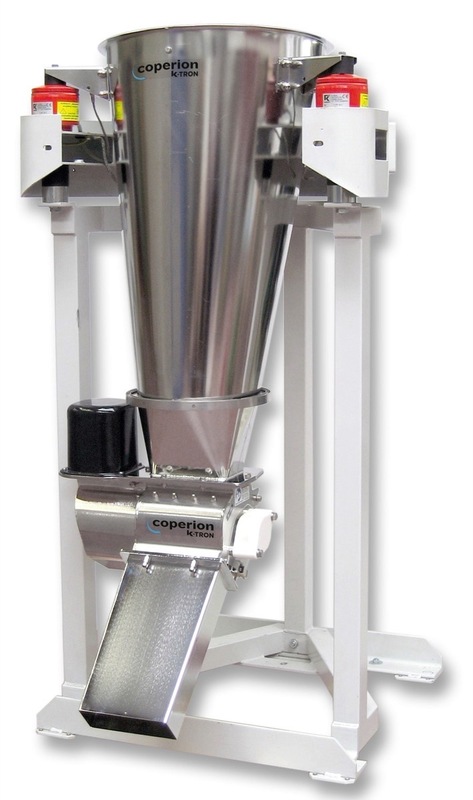 With the treasure line, Coperion is extending its range with a high-quality, value for money strand pelletizer. Key design features of the “SP treasure” pelletizer include excellent accessibility and ease of cleaning. The cutting chamber, which is so crucial to ensure a high product quality, matches the high standard of SP pelletizers from Coperion that are well-established in the market. In addition, Coperion has incorporated a sound-insulated pellet outlet into the “SP treasure”, which pivots to allow more effective cleaning. As an option the pelletizer can be equipped with an independent lower feed roll drive for infinite pellet length adjustment. The upper feed roll is available in hardened stainless steel and can be driven independently as an option. Adjustable clearance between upper and lower feed roll is possible. For ease of operation, the “SP treasure” series can be equipped with an HMI (human-machine interface) and PLC controller. Coperion K-Tron will exhibit a highly accurate K2-ML-D5-T35/S60 Quick Change feeder at Chinaplas, featuring the ActiFlow™ bulk solids activator and Electronic Pressure Compensation (EPC) in combination with a 2400 Series vacuum receiver for refill. The T35/S60 Quick Change feeder (QC) is designed for applications requiring quick changeover of materials and convenience of fast cleaning. The QC feeder allows for the removal of the entire feeding module with screws in place for replacement with a second unit. The removed feeding module can then be transported to a cleaning facility for further disassembly, cleaning and prepped for another material. Twin and single screw feeding modules are available. 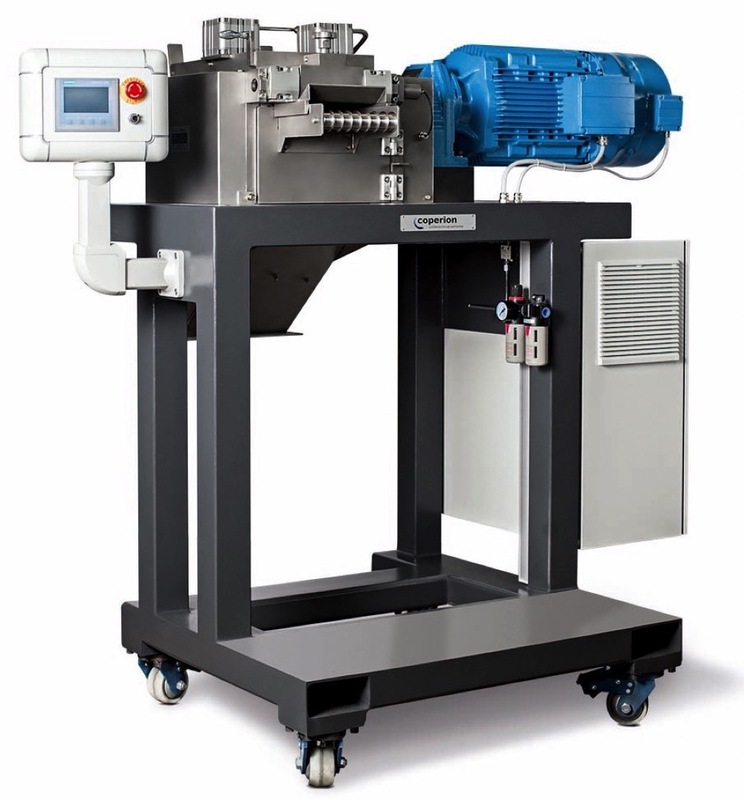 Single screw feeding units handle free flowing powders, granules, pellets and other non-flooding materials, while twin screw units are ideal for floodable powders and more difficult, sticky or hard-to-flow materials. The highly accurate D5 platform scale features Smart Force Transducer weighing technology to ensure exactly the correct amount of material is fed into the process, maximizing end product quality and minimizing waste. The T35 is also equipped with Coperion K-Tron’s unique Electronic Pressure Compensation system (EPC) for loss-in-weight feeders. EPC is a clever but simple electronic solution for accurate and steady pressure compensation in feeder hoppers and outlets. The main advantages of the new system include improved accuracy and reliability as well as lower initial cost and easier installation compared to traditional mechanical pressure compensation systems. Also on display, Coperion K-Tron’s K-ML-BSP-150-S Bulk Solids Pump™ (BSP) feeder which is a unique alternative for gentle feeding of free flowing granular materials. The BSP feeder does not use the usual screws/augers, belts or vibratory trays to convey the material. Instead it utilizes positive displacement action to feed free flowing materials with astounding accuracy, offering uniform discharge, consistent volume and gentle handling. The BSP feeder has vertical rotating discs that create feeding ducts. Material moves smoothly from storage hopper to discharge outlet through a “product lock-up zone”, achieving true linear mass flow. With no pockets or screws and only one moving part, the compact feeder is cleaned in seconds, making it ideal for applications with frequent material changes. The BSP-150-S feeds from 34 to 6700 dm3/h [1.2 to 237 ft3/h] using five feeding discs to create four feeding ducts; it features a stainless steel feeder body and uses a stepper motor. Two additional models are available for smaller feed rates.